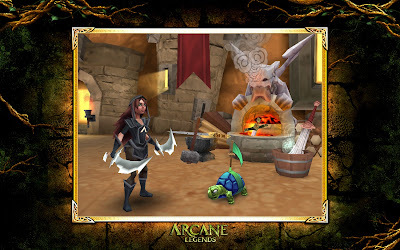 Spacetime Studios took the time to sit down with me and let me play their newest title, Arcane Legends, before GDCO. The studio is best known for its free mobile MMO titles like Dark Legends and Pocket Legends, featuring isometric 3D adventuring and cross platform multiplayer. If you haven't had the chance to play one of their games, think a cross between Diablo III and World of Warcraft, but on a tablet. 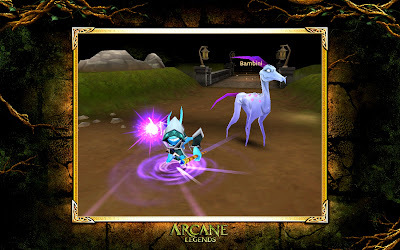 The most striking thing about Arcane Legends is its interface. A virtual joystick rests in the bottom left hand corner of the screen and your attack is on the right hand corner, with skills surrounding it. This design means the player more room to actually see the game, a problem Pocket Legends suffered from by allowing the entire right hand side of the screen to be taken over by skill bubbles. The HUD is discrete and allows for much better visibility than its predecessors no matter the platform. Speaking of platform, that's one of the most stark realizations I had while playing this. Me and one of the guys from Spacetime were playing together even though I was on a Google Nexus 7 and he was on an iPad 3. 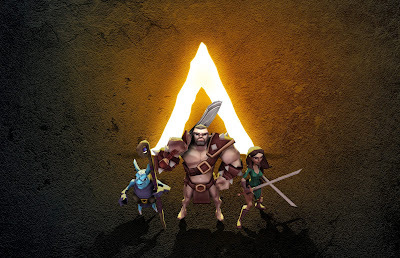 At first, this didn't register as something that should be a problem, but once it was pointed out, I realized there was real-time cross platform gameplay between Android, iOS and Chrome browsers. No separate worlds, interaction zones, or transfer services are needed. It just works, and it works well at that. I had previously played Dark Legends and was concerned about two things -- its lack of an engaging story and its color pallet. If you watched our Borderlands 2 review, you'll know I'm not very motivated by looting alone. I'm must more likely to continue playing if I have a story, no matter how flimsy, to keep me going. Dark Legends didn't do such a hot job of that, and the colors were depressing enough to make me want more, though I'm not sure what I was expecting since the word "dark" is in the title. Arcane Legends features a cutscene system, allowing the developers to expand on story past dialogue to give their characters more life and meaning. This addition is fortunate, because the graphics are a pleasure to look at. It's bright and colorful without being too childish. It's a visual mix of Torchlight II and Legend of Zelda: Wind Waker, with swirly smoke and visually engaging colors. Choosing to allow their game to be bright in places also allows them to characterize areas more easily by colors, something that seems to be going away as having browns, red, and oranges as your primaries is a growing trend. 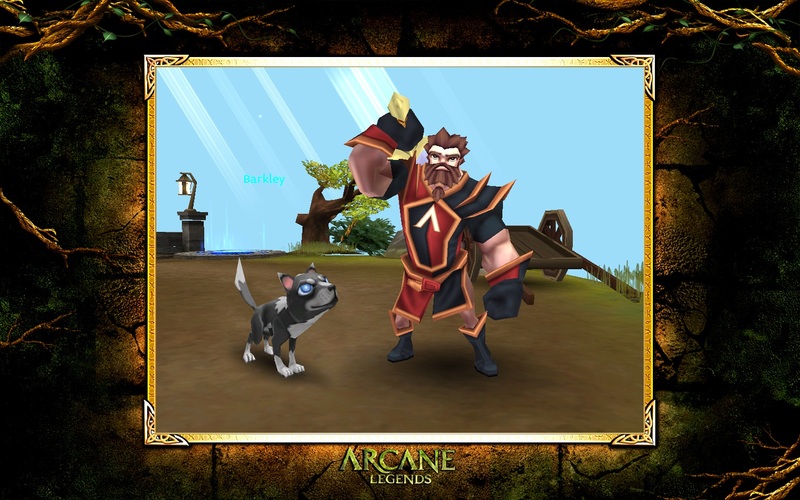 The gameplay in Arcane Legends is similar to that of Pocket Legends, allowing you to pick a base class and expand your skills to customize your character. A system that's been improved, though, is the pet system. 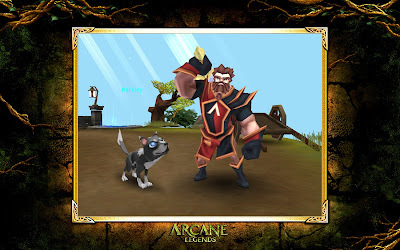 Your pet will fight alongside you and earn their own experience points to level up as you do. There will be over 40 different pets to chose from before the dust settles including this cool design for a goat I was shown. the pup may be cute, but that goat's got my name on it. 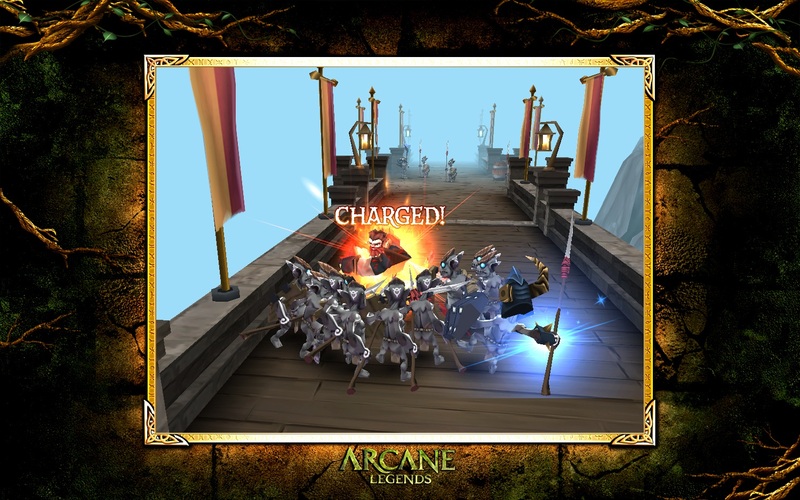 If you're a fan of MMOs, do yourself a favor and check out Arcane Legends when its released this November. It's deep enough to satiate your questing urge, but brief enough to be played for a few minutes while waiting in line at the bank. It's a definite improvement over Pocket Legends in every vector. It'll be available for iOS devices, Android devices, and Chrome browsers with the potential for Windows Phone 7/Windows 8 and Ouya on the horizon.